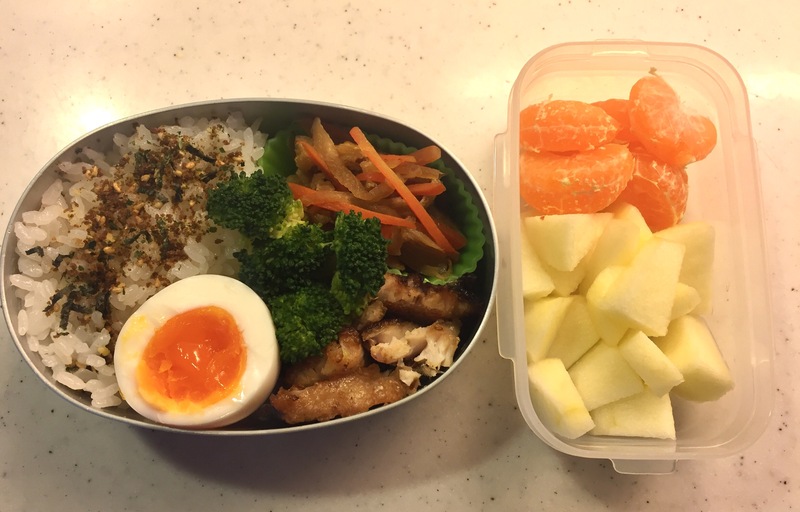 This is the last bento of the year. 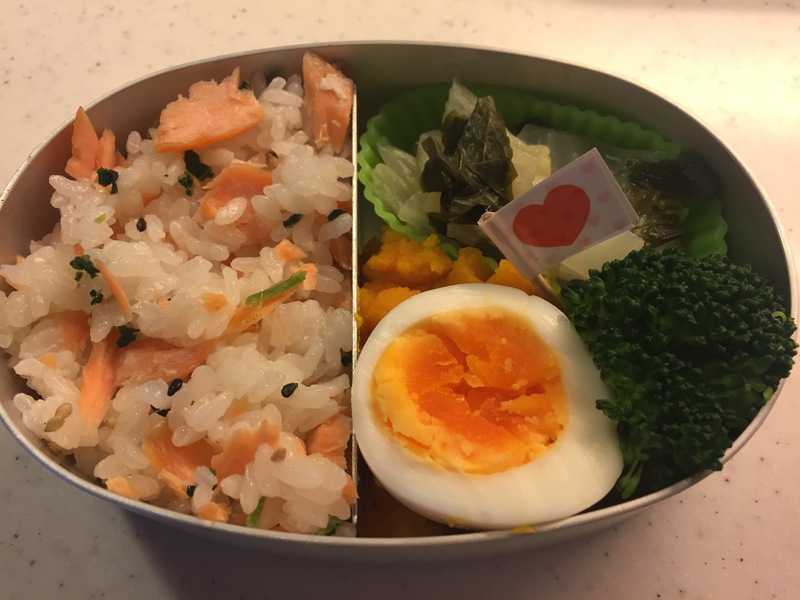 The kindergarten bento I make is nothing special, but I’m glad my daughter happily eats it everyday at school. 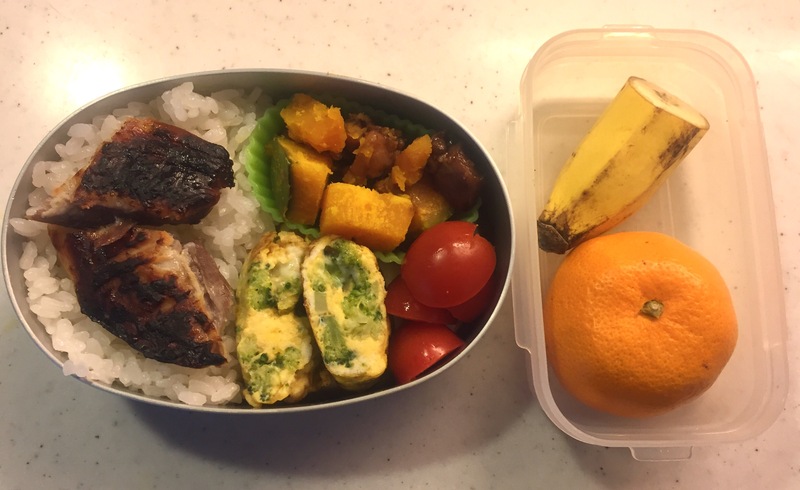 There are so many stories associated with this simple box with packed food. I love sharing these stories with you here, and I’d like to thank you so very much for reading my postings. 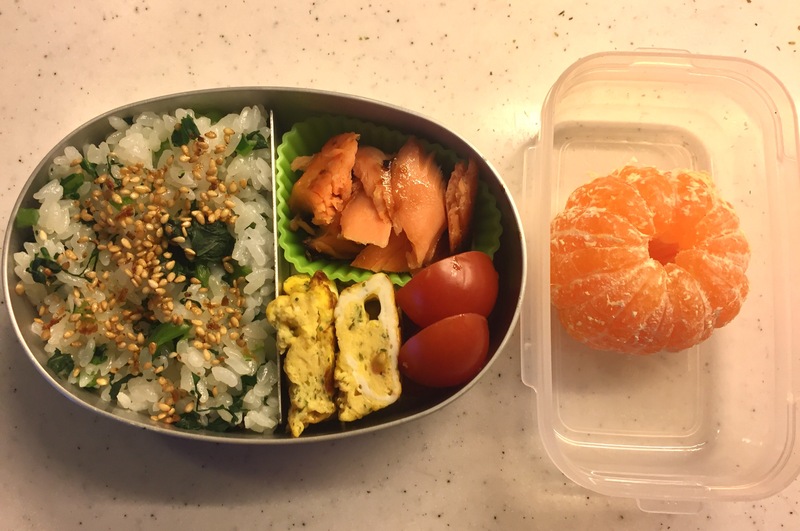 The morning started normally, and I prepared a bento for my daughter, woke her up, and got her dressed in the kindergarten uniform for another exciting day. We all sat at the breakfast table and started eating, but our poor girl had absolutely no appetite. Usually she is a vigorous eater especially in the morning, but she refused to touch anything, even her glass of warm milk. This is very rare for her, and despite her protest (she loves her kindergarten and insisted on going without eating anything) I called the school and notified them about her absence. My gut feeling told me to keep her at home…. and I was right. 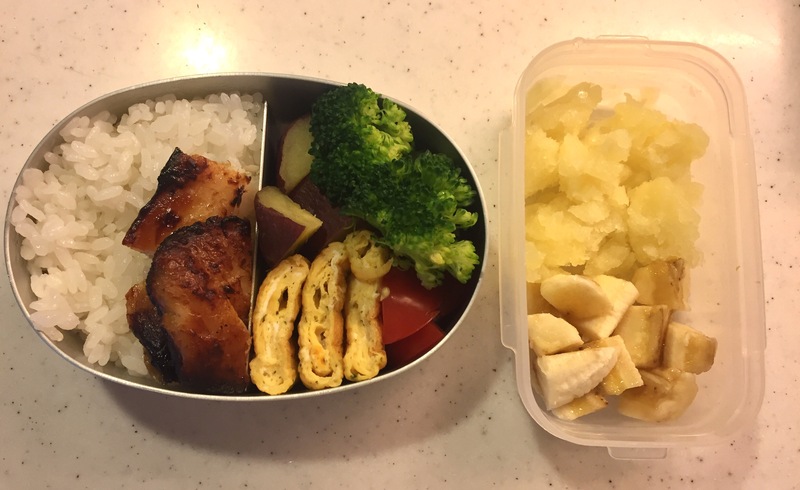 It turned out that she had gotten some minor tummy bug, and didn’t eat almost anything for the entire day, of course including my bento. It ended up to be my lunch, so at least it wasn’t wasted. Ha, the joy of motherhood! I heard somewhere that komatsuna can be even more nutritious than spinach. 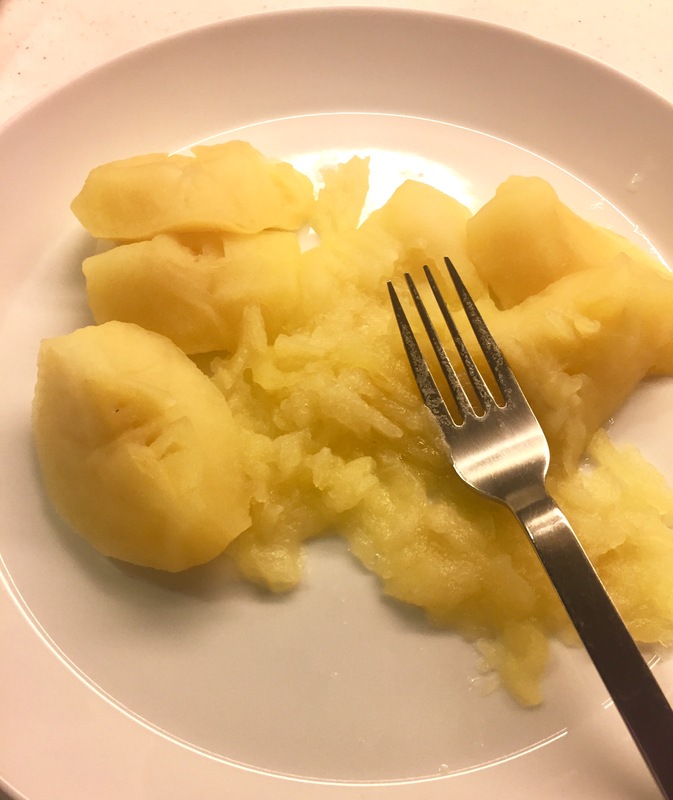 Our daughter always eats it if it’s mixed with something else, so today I mixed it in freshly cooked rice. Sesame sprinkle on top. 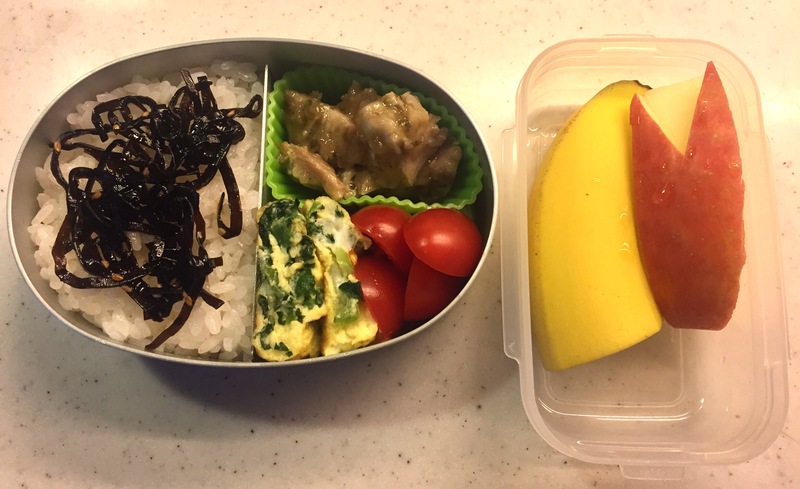 (Obviously,) The dinner leftover Chicken Marbella for bento today. Our little one asked not to put any prunes or olives, which play very important roles in this dish… oh well.